This ain’t no bridesmaid dress – in Japan, brides disappear about halfway through the reception and return in a the princess-y gown of their dreams. 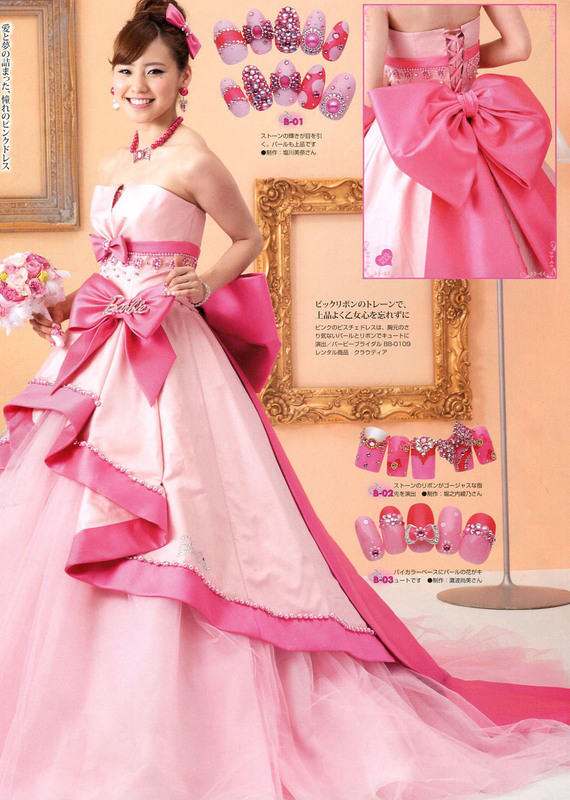 After you finally got Kenji to go down on one plastic bendable knee and propose, what could be more perfect than to dress up like Barbie for the wedding? In America girls put away the impossibly-built doll with her wardrobe of rubber shoes long before they get old enough to fill out a lookalike gown, but in Japan the brand has successfully colonized adulthood. 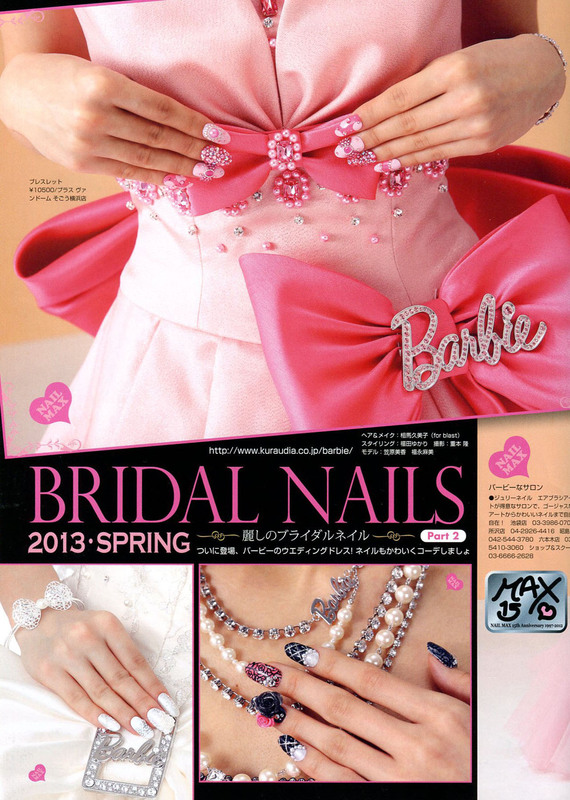 Behold Barbie Bridal, with nails to match! She looks like she’s been hosed down with Pepto Bismal. Ugh.